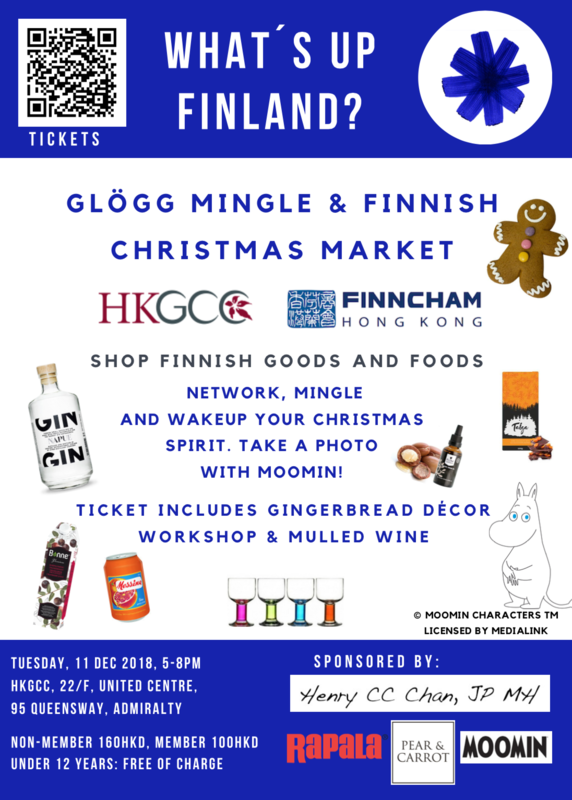 FinnCham & Hong Kong General Chamber of Commerce would like to invite you to Glögg mingle & Finnish Christmas market on the 11th of December! Shop traditional Finnish goods and foods, experience a Finnish Christmas spirit, take a photo with the Moomin as he will be visiting the Christmas market too! Network and meet new people and members of the Finnish Chamber of Commerce and the Hong Kong General Chamber of Commerce!